2018 September 7, Beijing. 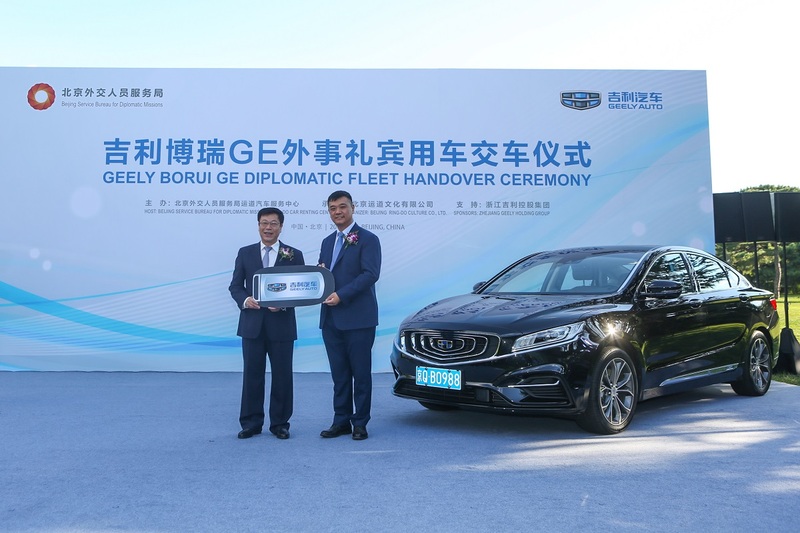 Geely Auto’s (Geely) flagship hybrid sedan, Bo Rui GE has been selected as an official diplomatic concierge vehicle by the Beijing Service Bureau for Diplomatic Missions. 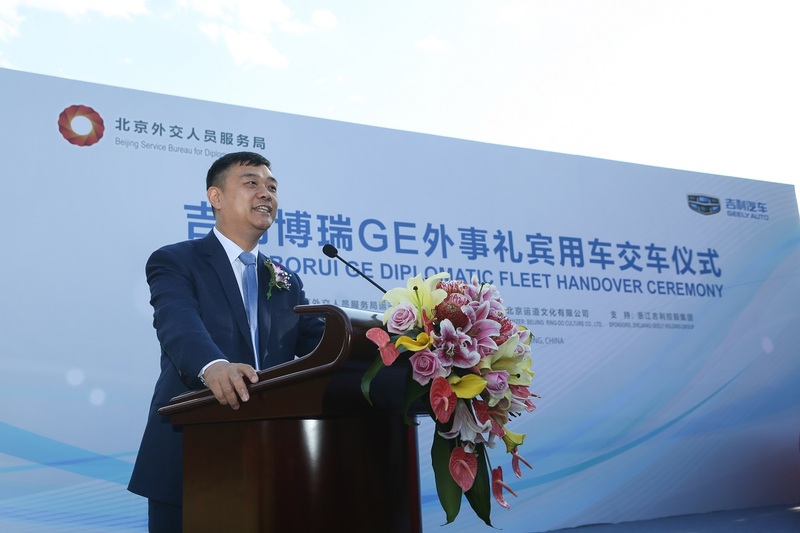 At a handover ceremony held in the Diaoyutai State Guesthouse in Beijing, 35 new Bo Rui GE were delivered to the Service Bureau to be part of China’s diplomatic vehicle fleet. 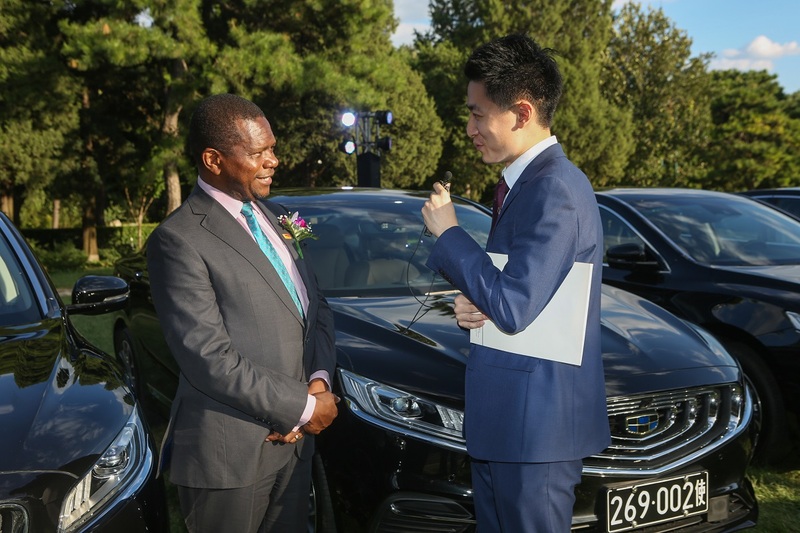 Attending the ceremony were Beijing Service Bureau for Diplomatic Missions Director, Yuan Weimin and Zhejiang Geely Holding Group President, Geely Auto President and CEO, An Conghui representing their respective parties. 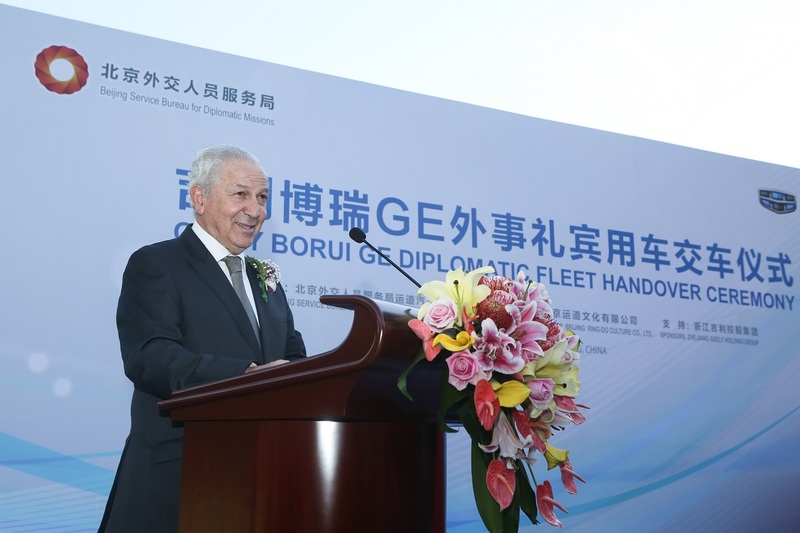 The ambassadors of Morocco, Sao Tome and Principe, Montenegro, Armenia, and Zimbabwe whom have selected the Bo Rui GE as their official diplomatic vehicle also attend the ceremony. 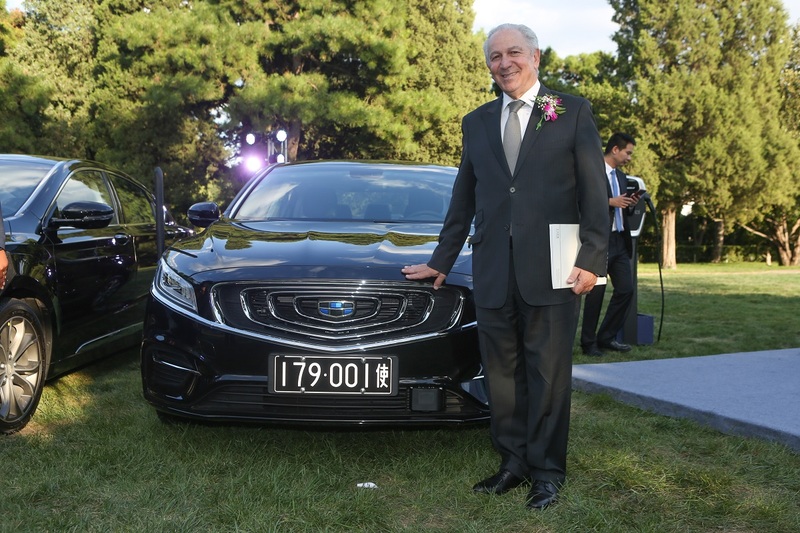 As Geely’s first hybrid flagship model, the launch of the Bo Rui GE in mid-2018 marked Geely Autos full entry into the era of new energy. The new model are equipped with Geely’s “Intelligent Power” hybrid technology with power being provided by a 1.5TD engine in combination with a 7-speed dual clutch transmission and electric motors.The Bo Rui GE comes in either a MHEV 48 volt mild hybrid or full PHEV plug-in hybrid version. 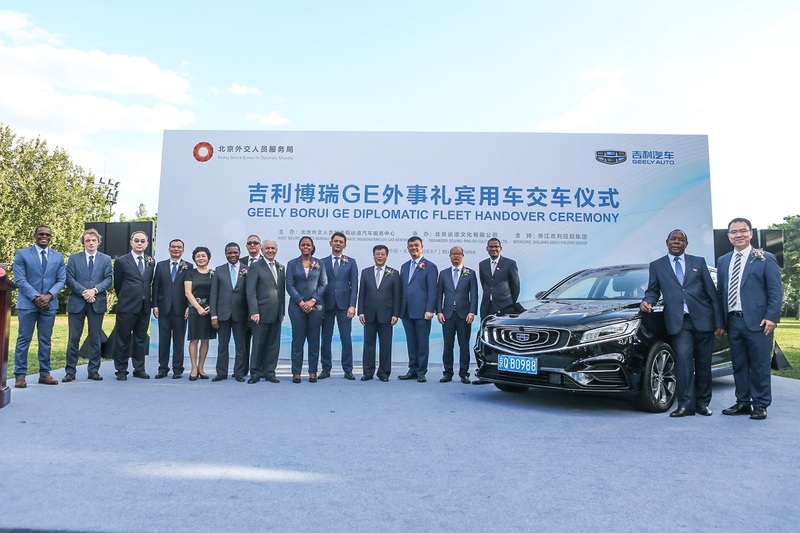 For the fourth year in a row, the Geely Bo Rui has been selected by the Beijing Service Bureau for Diplomatic Missions to be used as part of their diplomatic fleet in China for use by visiting presidents, prime ministers and senior diplomats. 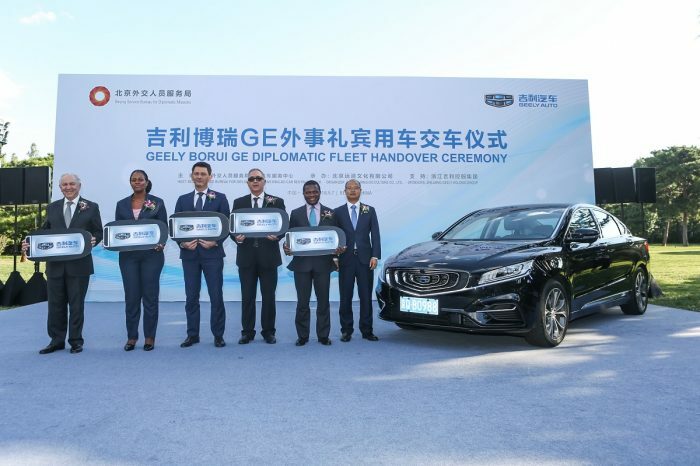 On March 20, 2015, the first batch of 20 Geely Bo Rui official diplomatic vehicles were delivered, marking a major milestone for the promotion of Chinese automotive brands. Since then, Geely Auto has delivered over 185 vehicles to be used as diplomatic concierge vehicles including the full electric Emgrand EV and now the Bo Rui GE. 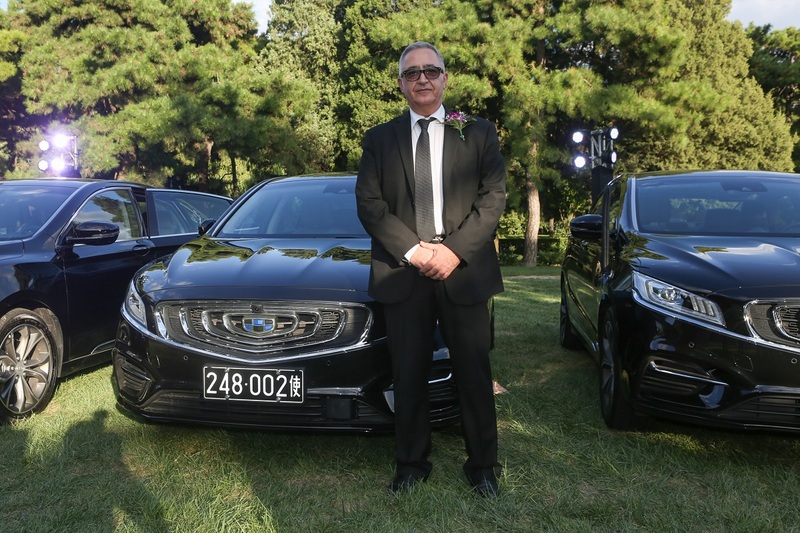 In addition to being a diplomatic vehicle, the 2017 model year Bo Rui has previously been selected as the official car for various international events held in China in the past such as the G20 Hangzhou held in September 2016. 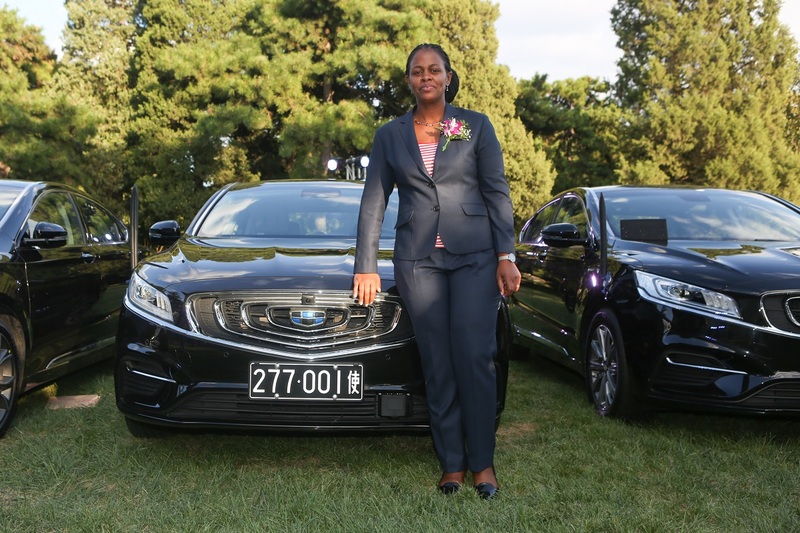 Its role as an official car has helped to change the perception of “Made in China” products. 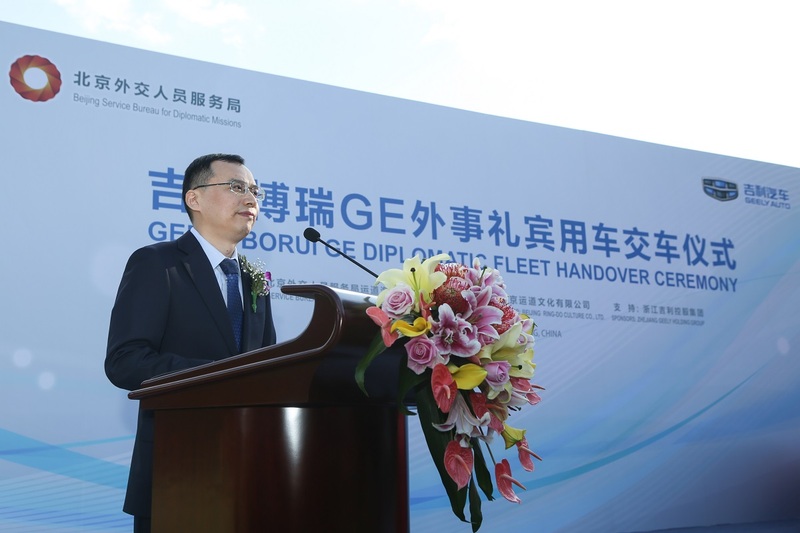 Geely Bo Rui has become a sales leader among Chinese brands and broke the monopoly held by joint-venture brands in China’s B-segment sedan market. 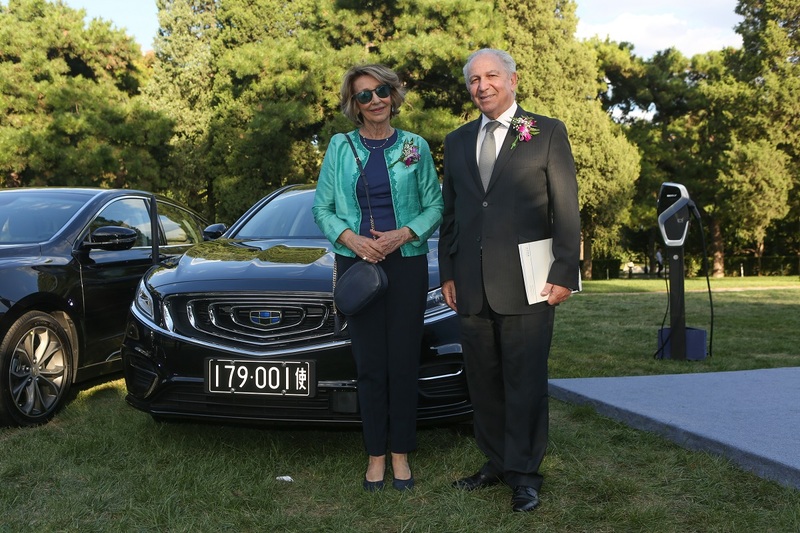 The model’s success was partly due to its status as a national diplomatic fleet vehicle as well as its leading technology package. Since its launch, the Bo Rui has earned the trust and support of over 160,000 owners. 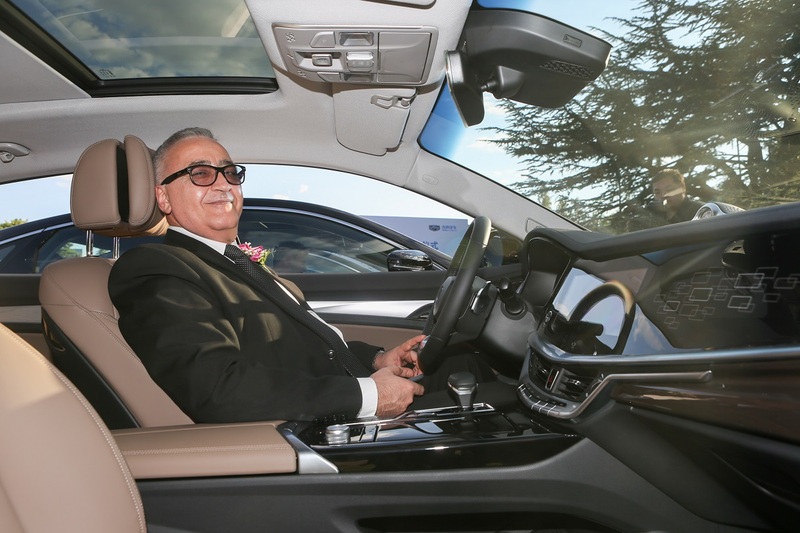 This past August, Malaysian Prime Minister Mahathir praised the new Bo Rui GE after test driving it during his visit to Geely’s headquarters.